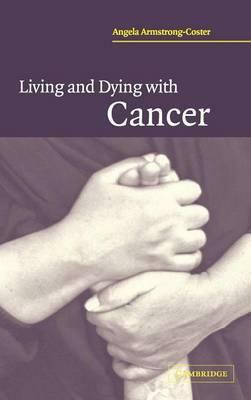 Living and Dying with Cancer is a powerful and moving account of the experiences of those affected by one of the most common causes of death in the Western world. Through a series of individual narratives based on extensive interviews carried out by the author, the book explores the impact of being diagnosed with cancer on those with the disease and the people around them. It follows the different trajectories of the disease from the very first symptoms, through treatment to death and shows how the experience of the disease and even the way it develops is affected by the social context of the people involved, as well as their own physical and psychological characteristics. This book will be an invaluable resource not only for social scientists and health professionals but also for those coming to terms with the impact of cancer on their own lives.